The word ‘gulala’ refers to the powdery ‘bright red pigment’ used in religious ceremonies all over India. 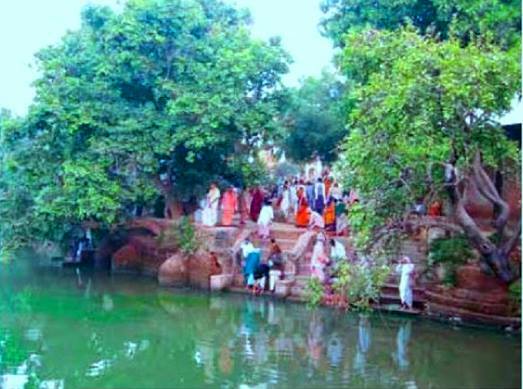 Once, on the occasion of the annual Holi festival, after having thrown red colored gulala powder on each other, Radha and Krishna came to this kunda near Ganthuli village to bathe. 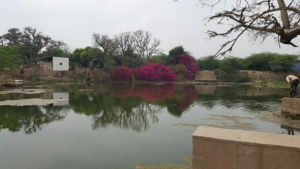 After they had bathed and sported in the kunda for some time, the water of the kunda turned ‘gulali’ or a reddish color, due to the red gulala powder that had been thrown on the ‘divine lovers’ during the holi festivities. Gulala-kunda is situated near Gantholi on the left side of the road. 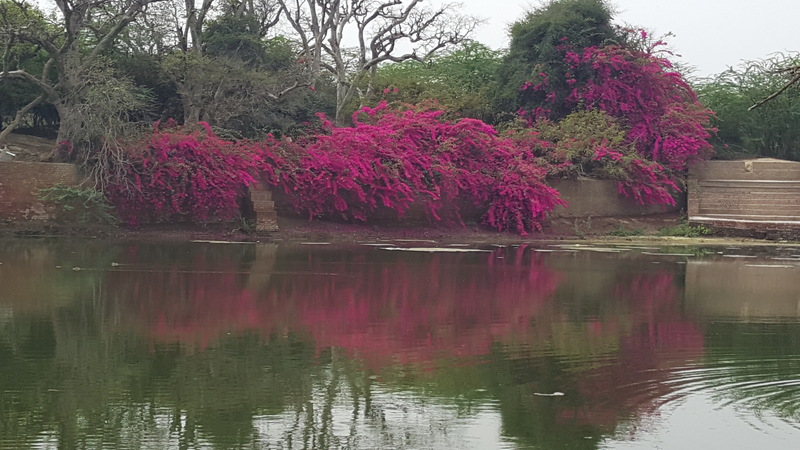 In springtime the gulala colour (the pink colour of Holi) mixes with the water of this kunda. It is said that after playing Holi, Radha, Krishna and the gopis bathed in this kunda and washed the pink colour from their bodies and clothes. This is how the pond received the name Gulala-kunda.